Tagline: if you can't be famous… be infamous! CHICAGO is the film adaptation of the musical-satire Chicago and director Rob Marshall's first effort at directing a major motion picture. It is the Winner of six academy awards, including best picture 2002, and is a delight to watch. It's a story of murder, scandal and a lust for fame set against a back drop of vivid color and music in 1920s Chicago. After watching this film, one will have an urgent need to go out and buy the song track for the songs will be stuck in your head for days and weeks later. Unlike most musicals, where the cast bursting into song interrupts the action, the songs and dance numbers are portrayed as the protagonist's habit of slipping into fantasy when reality becomes too intense and are mingled about the action. Each of the actors in CHICAGO was born to play their roles. The cast preformed all of the singing and dancing, no body doubles or voice dubbing was used showing that several of these actors have hidden talents. 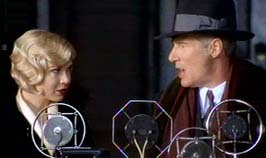 Yes that is really Richard Gere tap dancing and Renee Zellweger singing. 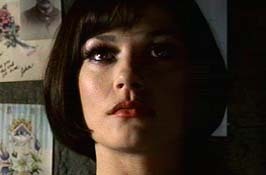 Catherine Zeta Jones won best supporting actress for her performance as the diva Velma Kelly and Queen Latifah was nominated for the same award for her performance as the cunning Matron 'Moma' Morton. Renee Zellweger was nominated for best actress. 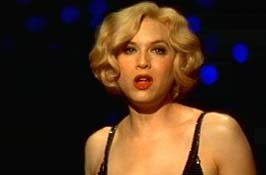 John C Reilly is excellent as Roxie's kind hearted but naïve and gullible husband. If there is a decent character in this movie, it is he. His rendition of 'Mr. Cellophane' is the most touching moment of the film. 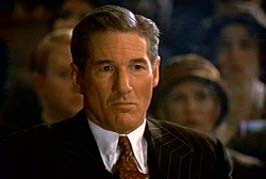 All of the courtroom scenes are hilarious and Billy Flynn (Richard Gere) personificates the ultimate slimy lawyer more interest in money than justice. His tap dancing (both legal and literal) is a joy to observe. 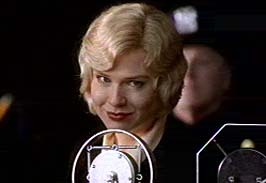 Both of his song and dance numbers 'all I need Renee Zellweger earned her nomination playing the selfish, dimwitted but highly motivated Roxie. Even with this sort of character, she seduces the audience into rooting for her. Singer Mya has a small role as one of the other murderesses in prison and performs in several songs. Lucy Liu (Charlie's Angels, Shanghai Noon) also has a deceptively small part small part (she is one of the top billed actors) as murdering heiress Kitty Baxter, but she does not sing and dance. Actor Taye Diggs (Go, House on Haunted Hill) is the smooth, svelte bandleader, who is like the MC leading the audience through the film. Roxie Hart is tired of being 'some dumb mechanic's wife' and has been having an affair with furniture salesman Fred Casely. Casely claims to have 'connections' that will lead to making Roxie a star. When Roxie finds out that Fred has been stringing her along, she shoots and kills him. 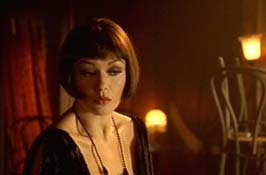 In jail, Roxie comes into contact with vaudeville star Velma Kelly (Catherine Zeta-Jones) who is awaiting murder charges on the shooting deaths of her husband and sister. Velma, with the help of her lawyer, Billy Flynn, is a media sensation with many lucrative theater jobs waiting for her after she is acquitted. Meanwhile Roxie is friendless and in despair until Matron 'momma' Morton (Queen Latifah) hooks her up with Billy Flynn, the lawyer who has never lost a case with a female client. When Flynn gets involved and generates publicity for Roxie's case, she realizes that not only will she get away with murder but also her faded dreams of vaudeville may become a reality. 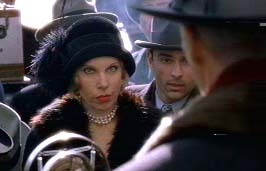 All this attention around Roxie leaves a vindictive Velma out of the papers and on to the witness list for the prosecution against Roxie.